Back on market as buyers could not secure financing! 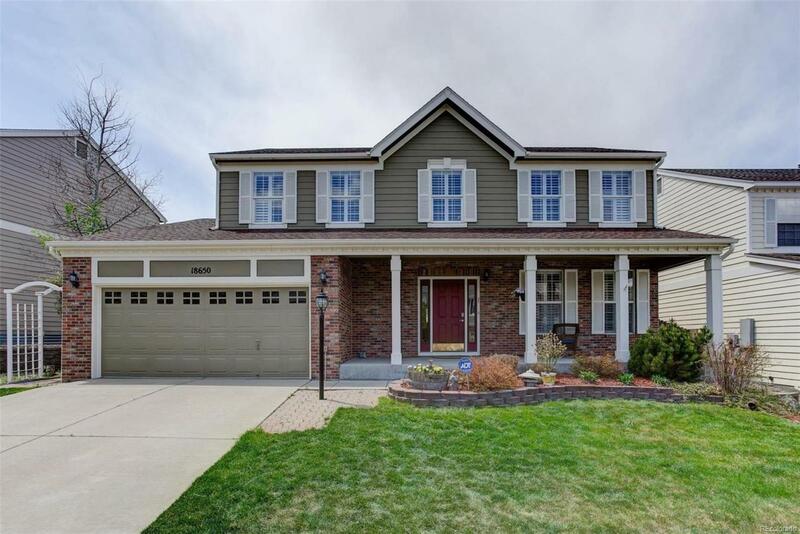 Fall in love with this warm and inviting 5 bedroom/4 bathroom home in the highly rated Cherry Creek School District. Main floor is flooded with natural light and includes an updated kitchen with granite counters, wood floors, and stainless steel appliances. Kitchen is open to carpeted family room with gas fireplace. Main floor also has formal dining room, living room, half bath, and laundry room. Upper level features 4 bedrooms including the luxurious master suite. Finished walk-out basement includes fifth bedroom/office, rec room, and 3/4 bathroom. Back deck and yard provide a peaceful sanctuary for relaxation and play. Gorgeous mountain views from deck. This home has been well taken care of and is waiting for you to move right in!